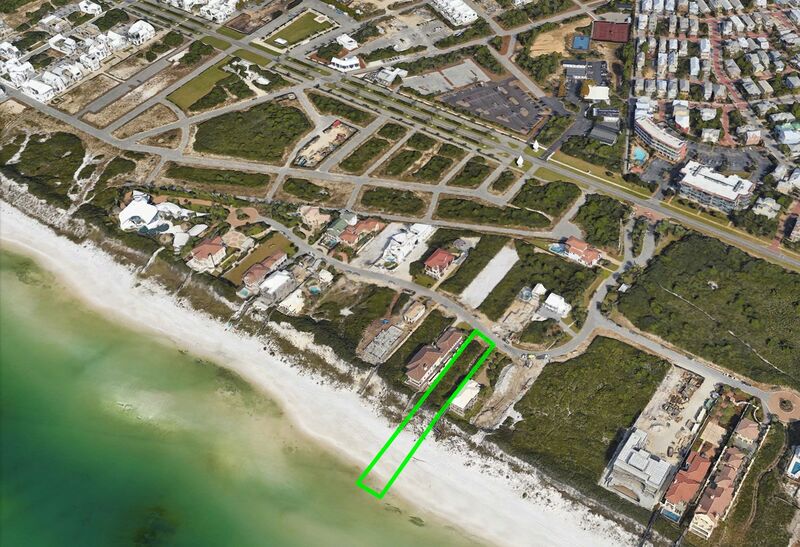 This Bank Owned Beachfront Lot is How Much? Posted by Destin Real Estate Sales on Thursday, November 16th, 2017 at 9:58am. South Walton's Scenic 30A has become a popular destination in recent years due to the incredible scenery along this famous route. The forested sugar white shores and rare coastal dune lakes that parallel the emerald toned gulf have received national acclaim as one of America’s best beaches. Many thousands of acres are preserved as pristine forests and state parks. It started when Seaside gained international recognition for introducing “New Urbanism” architectural design for an Americana styled pedestrian friendly town development back in the 1980s. Other picture perfect meticulously planned coastal villages started to spring up almost overnight beginning in 2003. Each one offers its own gorgeous, unique architectural personality in styling, but all of them feature a golden lifestyle beside the bright beautiful beach. High demand for the property here has skyrocketed over the past few years. Most of the land along the sugary shoreline is preserved as forest, and a countywide ban on building heights enacted in 2005 assures low density, so the finite supply of residential development is limited. Beachfront lots are in highest demand with prices to match, and this .61 acre property is overlooking its private beach at 17 Paradise Key Boulevard and is listed at $7,299,000. It is located in one of the most exclusive custom home developments along South Walton's Scenic 30A and nestled between Alys Beach and Rosemary Beach in Seacrest. This gated private residential community includes a unique high caliber collection of opulent Mediterranean styled homes and custom built mansions. Most homes are lushly landscaped with separate Guest Houses and Infinity pools that provide gorgeous limitless views of the gulf. Currently, there are twelve vacant gulf front lots in this area that are priced between $2,390,000 up to the price of this property listed at $7,299,000. The average price for current gulf front listings comes in at $3,525,091. Nine comparable beachfront lots have sold here within the past twelve months ranging in price from $1,839,876 to $3,700,000, coming in at an average price at $2,620,309. There is one contract with a pending closing which was listed at $6,600,000. It is interesting to see how this compares with the 32 homes that are currently for sale on the gulf nearby. They range in list price from $1,498,000 up to $11,900,000 with the average price listing offered at $5,689,875. During the past twelve months, 29 gulf front homes have sold in this area. They have closed in a price range from a low of $1,575,000 for a 1,670 square foot three bedroom beach cottage up to a high of $12,500,000 for a five-bedroom home with 4,520 square feet. The average sale price for all closed beachfront homes comes in at $4,607,586. If you want more detailed information on this beachfront lot for sale or any gulf front home listings contact our Real Estate office today at (877) 392-6085.